A Forum recently had a post on entitled "Boycott Recruitment Agencies and Greedy Bosses!!" The post reads "Recruitment Agencies are cherry picking their clients & have no courtesy to reply back to your messages unless you call them!! They say they have hundreds of applications to review but by the time they have looked at your CV it’s too late - the dream job you desire is long gone." As a recruitment consultant I have to say that this probably appears to be the perception at present (we cherry pick the best solicitors and ignore the rest including most NQs). The truth is that we are being hit very badly by the recession as businesses. Think about it - there have probably been over 15,000 redundancies amongst solicitors in England & Wales since April 2008. This is just less than 10% of the workforce. There are no conveyancing jobs at all anywhere. There are no wills & probate jobs anywhere. Crime jobs are disappearing at a rate of knots as firms close the boltholes ready for the best value tendering that is going to wipe a further load of firms off the map (after the Carter review destroyed a load a few years ago). Corporate firms are halting their graduate training programmes and asking trainees to defer a year and actually paying for the privilege to do this. Does anyone seriously think that recruitment agencies have some sort of bypass switch that allows us to ignore all of the above and find jobs for NQ solicitors in this climate?You will start to see a large number of agencies disappearing in the next 3-4 months I think. Already most have stopped advertising in the Gazette, and the ones that are left tend to have the same jobs in every week that usually require a following or some particular specialism. 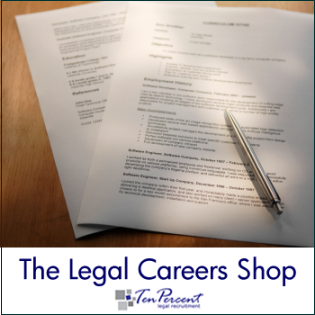 To give you an example of how hard it is to do recruitment at present, one recent job was for a commercial litigation solicitor. Looked easy to start with - we had 3-4 interested candidates with 2 years experience. The firm then wanted a French speaking commercial litigation solicitor, which made it considerably harder. We found one. They then got back to say that they wanted a French speaking commercial litigation solicitor with at least 12 months worth of high court experience. Obviously at this point we started to realise that like the Little Britain character that the goalposts were going to shift again even if a miracle occurred and we found the above - we were expecting to be told they needed a Belgian French speaking commercial litigation solicitor with high court experience. Similarly we have had firms asking for CVs - we have sent them through and heard nothing for weeks on end, despite telephoning, emailing etc.. etc.. Some firms seem to be collecting CVs for a hobby without committing to interview. We have also come across a lot of trainee solicitors being offered £16,500 to qualify by their firms and calling us either very angry or in tears. The legal profession is not in a healthy state at present, but it is affecting everyone at once - from senior partners through to suppliers of services to the profession. NQs unfortunately are right in the firing line, and are going to be badly affected. A training contract applicant has very kindly given us a detailed description of an assessment day that recently took place in the North West. It gives a flavour of the typical sort of day you will get in most medium and large law firms.. Here's what happened at the (North West Firm) assessment day. Introductions - we had to write a few facts about ourselves on a side of a4 paper, screw it in to a ball and throw it in the centre of the room, we all then had to go grab a ball and discover who it was and then use that to introduce the person to the group. We then had a group exercise. We were a group of four hikers, lost in a snow storm - in a tent -and had to decide on how many people should look for - and then from a list of 19 items decide which ten should be taken by the people who went for help and what items should remain for the people staying in the tent. I then had a competency based interview. First question 'what is your unique selling point' (i nearly fell off my chair) - other questions included examples of being commercially aware, greatest non academic achievement etc..
Hope this assists anyone looking for advice on assessment days... Let us know your experiences and we can add them to this bank of knowledge. The DWP have awarded Ten-Percent.co.uk Limited a 2 year contract to provide jobsearch support for newly unemployed professionals. At present, the scheme is very much in its infancy, but we have already provided the service to professionals based in the West Midlands and the North West. The scheme works by the Jobcentre Plus Adviser referring their clients through to us, and within 24 hours we arrange an appointment, usually over the telephone as the service is nationwide. This appointment is about 45 mins long, and we cover a whole range of topics, concentrating as required on particular areas. At the end of the consultation we provide an action plan to the job centre and the client, and continue to provide support as required by email. If you want to take advantage of this service, you need to be unemployed, and also speak to your adviser rather than ourselves as the referral has to come from them. You can call him on 0207 127 4343. Our contract number is AAA271601 if you want to refer us to your adviser.